On 27 March 1999, during the Kosovo War, the 3rd Battalion of the 250th Air Defence Missile Brigade under the command of Colonel ZoltÃ¡n Dani, downed an F-117A, callsign "Vega 31", AF serial number 82-0806, with a Yugoslav-improved version of the Soviet Isayev S-125 'Neva' (NATO name SA-3 'Goa') anti-aircraft missile system. 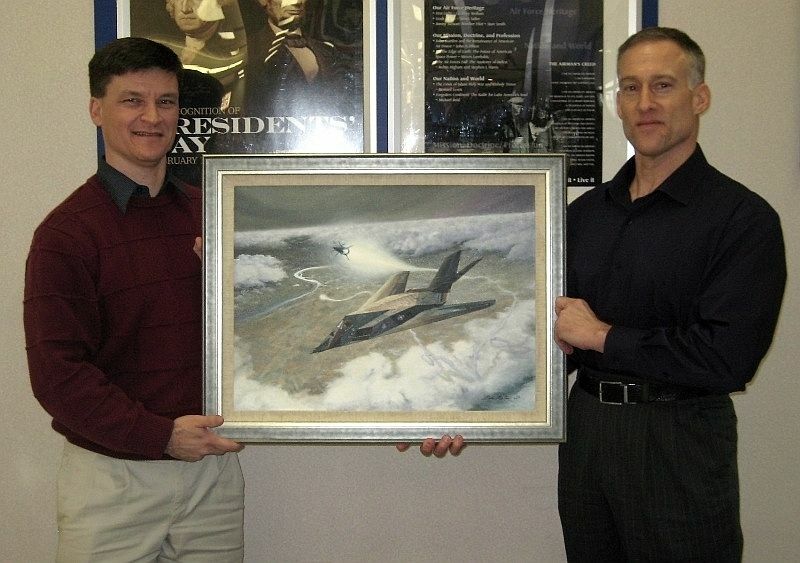 November 21, 2005: The Serbian battery commander, whose missiles downed an American F-16, and, most impressively, an F-117, in 1999, has retired, as a colonel, and revealed many of the techniques he used to achieve all this. Colonel Dani Zoltan, in 1999, commanded the 3rd battery of the 250th Missile Brigade. The battery had four quad launchers for the 21 foot long, 880 pound SA-3 missiles. The SA-3 entered service in 1961 and, while it had undergone some upgrades, was considered a minor threat to NATO aircraft. Zoltan was an example of how an imaginative and energetic leader can make a big difference. The list of measures he took, and the results he got, should be warning to any who believe that superior technology alone will provide a decisive edge in combat. In addition to shooting down two aircraft, Zoltan's battery caused dozens of others to abort their bombing missions to escape his unexpectedly accurate missiles. This is how he did it. --- Zoltan had about 200 troops under his command. He got to know them well, trained hard and made sure everyone could do what was expected of them. This level of quality leadership was essential, for Zoltan's achievements were a group effort. --- Zoltan knew that his major foe was HARM (anti-radar) missiles and electronic detection systems used by the Americans, as well as smart bombs from aircraft who had spotted him. To get around this, he used landlines for all his communications (no cell phones or radio). This was more of a hassle, often requiring him to use messengers on foot or in cars. But it meant the American intel people overhead were never sure where he was. --- His radars and missile launchers were moved frequently to avoid getting hit. His battery traveled over 100,000 kilometers during the NATO bombing campaign, and his troops knew all that effort was worth the effort. --- The Serbs had spies outside the Italian airbase most of the bombers operated from. When the bombers took off, the information on what aircraft they were, and how many, quickly made it to Zoltan and the other battery commanders. --- Zoltan studied all the information he could get on American stealth technology, and the F-117. He developed some ideas on how to beat stealth, based on the fact that the technology didn't make the F-117 invisible to radar, just very hard to get a good idea of exactly where the aircraft was. Zoltan figured out how to tweak his radars to get a better lock on stealth type targets. --- The Serbs also set up a system of human observers, who would report on sightings of bombers entering Serbia, and track their progress. --- The spies and observers enabled Zoltan to keep his radars on for a minimal amount of time. This made it difficult for the American SEAD (Suppression of Enemy Air Defenses) to use their HARM missiles (that homed in on radar transmissions.) Zoltan never lost a radar to a HARM missile. --- Zoltan used the human spotters and brief use of radar, with short range shots at American bombers. The SA-3 was guided from the ground, so you had to use surprise to get an accurate shot in before the target used jamming and evasive maneuvers to make the missile miss. 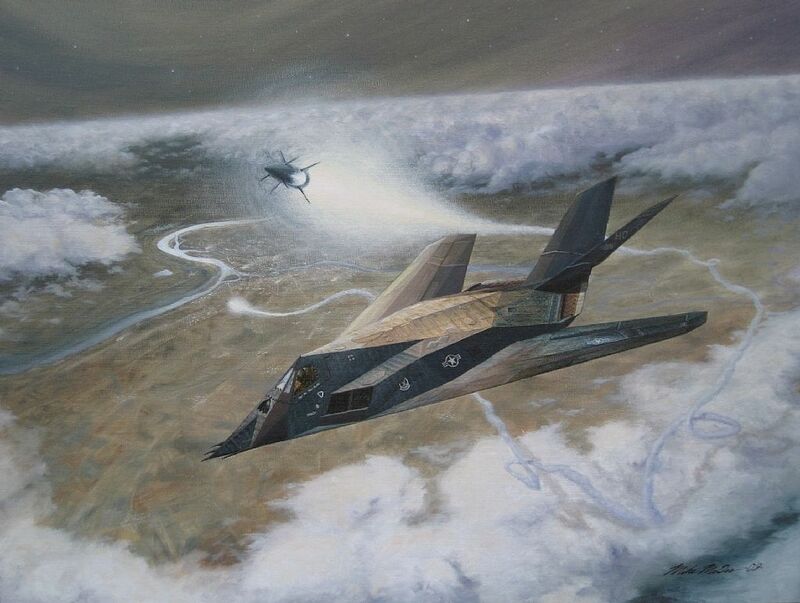 The F-117 he shot down was only 13 kilometers away. Zoltan got some help from his enemies. The NATO commanders often sent their bombers in along the same routes, and didn't make a big effort to find out if hotshots like Zoltan were down there, and do something about it. Never underestimate your enemy. Cleaning of broken images -. 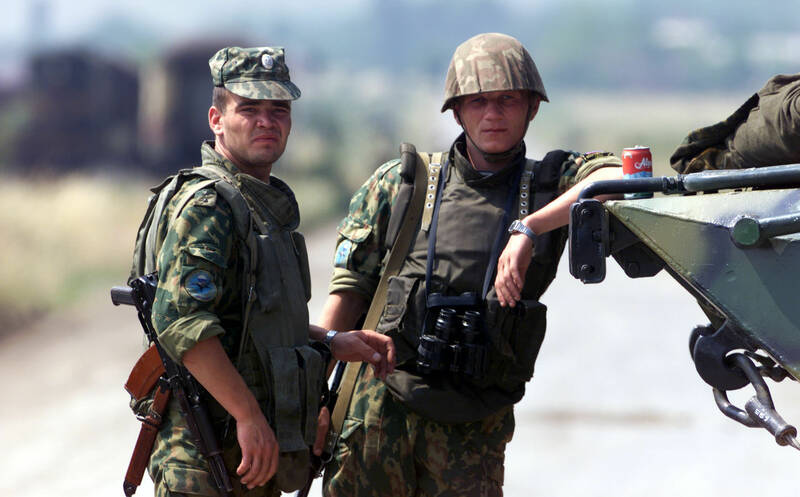 16 June 1999, Russian troops watch British soldiers at Pristina Airport, Slatina, Kosovo. 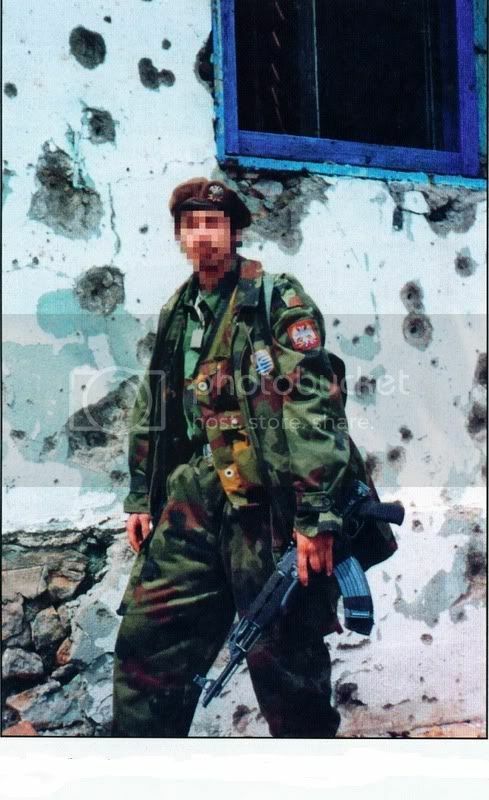 Pristina road, southern Kosovo, 12 June 1999. Fusilier Garry O’Brien receives a bouquet of flowers and a kiss from a grateful Kosovar girl as he drives through a ransacked village. Garry, who is 21 years of age and comes from Loch Lomond near Glasgow, is a Armoured Fighting Vehicle driver with the (Princess Margrets Own Glasgow and Ayreshire) Royal Highland Fusiliers and has only been in the Balkans for two weeks. He said, „Before we crosssed the border we were besiged with waving cheering refugees from the camps. They mobbed the vehicles and kept giving us fruit, flowers and packets of cereal. When we drove through Skopje there were thousands of people lining the street – it was like a cup final crowd“. Garry, who was worried about what the war was doing to the Kosovars before he came out, said, „It all seems worth while when you seee how happy the people are – they are treating us as liberators and you can see why when you drive through the trashed villages“. 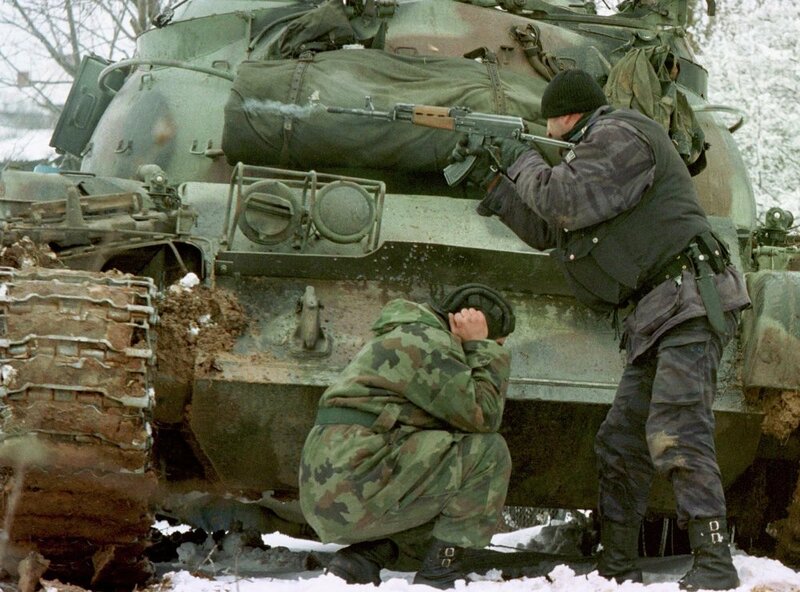 A Yugoslav special forces member, protected by a tank, shoots his AK47 at opposing Kosovo Liberation Army forces. Feb. 23, 1999 in the village of Bukosh.